“So…your animals are grass-fed,” chimed the gentleman. Perhaps he’d been reading one of those modern farming magazines that talked about vegetarian-fed chickens who wear little hand-knitted sweaters in the winter to keep them warm. I wanted to respond with, “pardon me,” but instead was gifted with the idea for Dishing the Dirt. Note: at a farmers market where you are purchasing raw materials (and hopefully value-added products, too) from a farm, chances are strong that the person you are talking to is the owner/farmer or at the very least, works on the farm helping to grow what you are about to eat. “When there is snow on the ground, what do your animals eat?” the gentleman asked. “But you just said your animals were grass-fed,” he retorted somewhat huffily. I’ve noticed that non-farmers use these terms interchangeable. I’ve also witnessed new and beginning farmers making the very expensive mistake of bedding their livestock with premium second-cutting grass hay unaware of the difference. Simply put, hay is what is fed to the animals and straw is what you bed them with. In the winter as well as any other time of the year when pastures are inaccessible, hay is fed to the animals. What! The animals are not out in the pastures year-round? Nope. Hooves (the feet) of cows, sheep, goats and pigs are cloven, meaning split into two. They are also sharp. When they move throughout the pastures their feet dig into the ground pressing organic material, including seeds, into the soil with minimal damage. Some pasture grasses benefit from stresses of being trampled and eaten, signaling them grow. But in the winter when the plants go dormant (when they don’t grow), constant grazing and foot traffic can quickly turn a once-verdant pasture into a mud lot causing damage that could take several growing seasons to repair. So, what do we do in the winter? We shut the gates to what is often referred to as a “sacrifice lot” and feed hay that has been baled (harvested) on our own farms or purchased from other farmers. This happens at other times during the year when pastures are too wet or flooded, too. Straw is what is used for bedding. Just as its namesake, the stalks of harvested grains such as wheat and oats are hollow, the airspace creating insulating and wicking properties to help keep the animals warm and dry. Although the animals will chew on straw, picking through it to nibble at any unharvested seed heads, straw has no nutritional value. Straw is also used by vegetable growers as mulch to insulate tender plants from cold and to create a barrier against weeds. Straw is often mistaken for hay by the general public as many “hayrides” seats are actually straw bales. Straw tends to be yellow in color while hay is green, however, hay bales left out in the sun can bleach to a yellow color, but that doesn’t make them straw. For most people, there is no difference between hay and straw, but during this brutal polar vortex weather, I’m counting on both to keep the animals dry, warm and well-fed. If last week was the first taste of winter, this week was an unwanted second helping. Two weeks without market, I’m started to feel furloughed by Mother Nature. The weatherman has been lying to me for years, but Saturday night he erred in the opposite direction, with me receiving more snow than promised. Had I been able to reach the state road two miles away, I would have made it to market, but snow in the driveway alone exceeded the van’s clearance. As my second marketless Sunday advanced, to clear the driveway required two people plowing for three hours to make it to the end of the lane. And that was the easy part. By sunset, temperatures had dropped into the teens. Winds gusted to 40 mph, pushing the feels like number further into the negative teens. There’s no option to call in sick or take a vacation day. I can joke about feeling like a federal worker because I, too, must work without getting paid. Unfortunately, I think the weather will break before the impasse in the Senate. The first step in dealing with sub-zero temperatures is to be properly outfitted. I am a firm believer there is no such thing a bad weather, only being improperly dressed. To work outside, my sub-freezing repertoire includes two wool hats, a fleece headband and fleece neck gaiter that doubles as a balaclava. The outer hat with horns may be funny, but the extended hood creates a draft-free seal tucked inside the collar of my Patagonia shell/fleece coat which has worn well as my winter go-to gear for over twenty years. Similarly, a technical turtleneck in the most garish color of turquoise I scored at the annual parking lot sale at Patagonia when I lived near their headquarters in southern California gets pulled out along with a bright red wool/cotton LL Bean union suit. Combined with a pair of insulated bib overalls, I can work for several hours in the worst weather winter can toss at me without being chilled. Don’t get me wrong, it’s still cold as my feet and hands constantly remind me. Sure, I add a nice set of thin wool glove liners to the flannel lined leather gloves, but there is always an unexpected chore requiring the dexterity of bare hands that leave my fingers stinging from the bitter cold. And feet, they bear the brunt of it all. Despite neoprene vulcanized on an inch of rubber tread, the icy ground manages to penetrate through to two pair of socks, a thin technical pair favored by ice climbers and the other a thick pair made of alpaca wool. Sometimes I also toss an air-activated handwarmer in each boot’s toe, too. To top off the whole ensemble, a set of Yak Trax so I don’t slip on the ice, of which there is plenty. Winter preparation doesn’t stop with clothing. Exposed areas of my face get a slathering of rendered lard instead of typical face cream that contains water. Coconut oil works too, but I prefer to smell like chicharrones instead of a piña colada. Perhaps the most critical step in an arctic blast is planning. With five different weather apps on my phone, I’ve got a decent idea of what to expect and when. Armed with this information and past experience, I have found it to be less infuriating to deal proactively with cold-related issues that are akin to chasing one’s tail: not having enough feed, critical diesel engine equipment without a block/oil heater, and watering systems that rely on hoses are unable to be insulated or heated and source from standard spigots, which are subject to freezing tight and breaking and my personal pet peeve. Animals will consume twice as much hay and water to stay warm, so I set out as much feed that is needed to get the animals through the coldest nights and check on the water situation several times a day. Watering is always the last thing that gets done when it comes to chores in sub-zero temperatures. Something always happens that results in a wet glove or splashed clothing which freezes stiff within minutes. Better to be wet for only the time it takes to walk from the barn to the house instead of for the full duration of chores. The animals aren’t the only ones needing to be sufficiently hydrated and well fed. This is the time of year I break out the stash of marrow bones and rendered goose fat—high octane fuel for staying warm. Working outside in the dry cold, it’s easy to become dehydrated, so as soon as I shed my gear when I get back to the house, the kettle gets turned on for a big mug of my favorite from Pearl Fine Teas, which now is a chai I can bump up with coconut milk for more energy. Did I mention the sheep are also having babies? Lambs are born wearing their own wool sweaters and are the hardiest of babies, but in weather extremes being vigilant is a must. So yes, I am staying warm even when keeping my customers fed requires working outside during a polar vortex. It’s just what farmers do. Okay, I’ll admit it: I played on Sunday when there was no market. After all the animals were fed and watered and the new baby lambs counted and snuggled, I fueled up on a couple of roasted marrow bones, broke out the cross-country skis and took off across the fields. For a few hours I practiced my rhythm, got in the groove and pushed past my previous limits of the farm lane out into the big expanse of the neighboring dairy farm. Making it to the next tree row was my goal, and once I reached it, I stood there admiring the view and my accomplishment until my phone chirped the familiar sound from my weather app: snow starting in fifteen minutes. Skiing home in the squall I recognized the dilemma of doing something fun in the harshness of inclement weather, kind of like farming and going to market. While I may be uncomfortable standing out in subfreezing conditions, I am content because of the customers who continue to support the weekly Central Farm Markets’ winter sessions. Now that winter hours have kicked in with markets starting at 10 a.m. instead of 9 a.m., harsh conditions are more tolerable. I know there was disappointment last week, but when that second band of snow hit during my ski trek, had I gone to market I would have been cresting the mountain between Maryland and Pennsylvania along with my fellow farmers who travel that route. We live in the mid-Atlantic, the Northeast, whatever you want to call it, but the reality is winter happens this time of year. Some years are mild and others, like this year according to the Capital Weather Gang, are going to twist us into a tangled mess of hats, scarves, gloves and insulated garments with polar vortices and nor’easters. Since none of us have any control over the weather the best we can do is deal with it. Here are some tips about how you can make the most out of shopping at Central Farm Markets in the coming winter months. Stock up. Winter vegetables, such as squash, root vegetables and winter greens are built to last in cooler temperatures. When extended forecasts call for snow over the weekend, buy extra for the following week in case of a market closure. Remember winter markets start at 10 am. Please let us get set up before helping you. And if you absolutely must have what you need, offer the exact amount in cash as the credit card machines are often the last item to be set up as their batteries wear down faster in cold weather. Don’t be mad at us. Seriously, we don’t want to miss a market, however, we also don’t want to slide down the mountain or into a ditch on the icy, snowy secondary rural roads that are not as well maintained as city streets and highways. Dress for the Weather. When markets are open in frigid temperatures, put on those extra layers, hats and gloves and ASK your farmer if you don’t see something. They may have it covered or boxed to protect from cold damage. We’ve been spoiled by the temperate weather these last few weeks, but winter will be making its way back to freezing temperatures by the end of this week. Frigid weather calls for a batch of soup. Even a culinary luddite can manage a meal made from scratch instead of a can when it comes to soup. As eaters strive for more control over the ingredients of their meals—less salt, more flavor, spicier, no additives, no BPH—the simplicity of soup can provide several meals worth of food with minimal effort and ingredients. With a little extra effort, soups can go from fantastic to phenomenal. 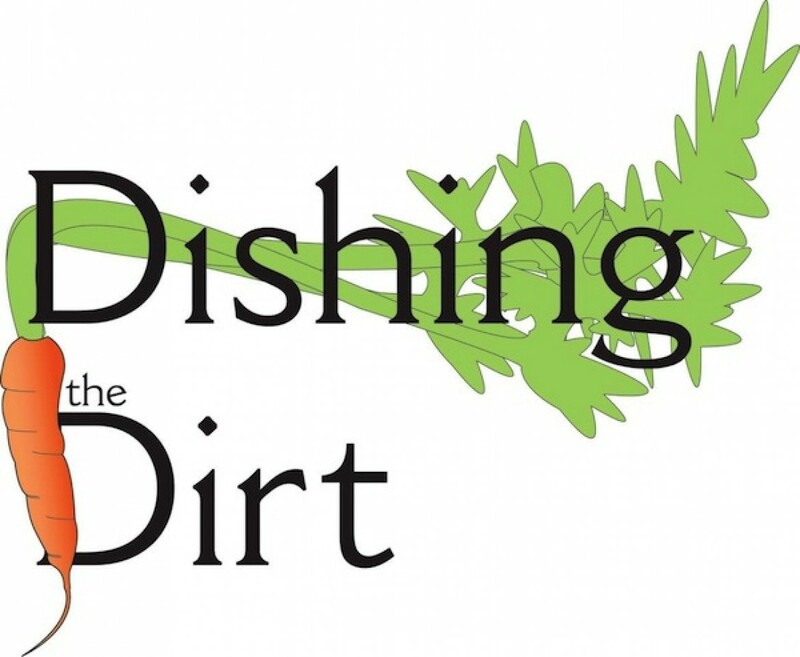 This week’s Dishing the Dirt is dedicated to upping your soup game. Cooking soup is something that can be done in a single pot. Soup has been made for thousands of years in everything from tightly woven baskets into which hot stones are dropped into the liquid to state-of-the-art, water-jacketed steam kettles gently simmering ingredients to perfection. Soups are indicative of specific geographies and cultures. From the Pennsylvania Dutch favorite, Chicken Corn Soup, to Vietnamese pho, the mere mention of a steaming bowl of goodness can be a dead giveaway of one’s heritage. The base of soup is some type of liquid, most often stock or broth. People often ask me what the difference is between the two even though the terms are interchangeable in most recipes. Broth is made of a simple ingredient (meat/bones/vegetables) simmered and reduced to unlock flavors, fats and proteins, while stock includes additional ingredients such as herbs, spices and aromatics. In bisques and chowders, dairy is added to create a creamy consistency and flavor. Vegetarian or vegan versions use puréed potato, cauliflower and other light-colored starchy vegetables to achieve a similar consistency and color without dairy. Other liquids used in soup include vegetable juice, coconut milk, beer, wine, whey, cider and plain ol’ water. Fresh seasonal ingredients provide the best flavors. Use fresh herbs whenever possible and add at the very end of cooking for the strongest flavor and best color. Herbs and spices can help you use less salt and still get good flavor. If you must use dried herbs, add during cooking to bring out the flavor. Use good olive oil, single-source is best. Good soups come from building flavors. Start with carrots, celery, onion (and garlic, if you like). Sauté in good olive oil (with a bit of water to help soften-the water will evaporate out), then add in other veggies, stock, seasonings. Season soups with salt and pepper after the mixture comes to a boil, reduce to a simmer and always taste (!). Add salt, pepper, a pinch of sugar, and spices as needed. With vegetable soups, make sure your veggies are tender but don’t overcook. You don’t want to make mush of beautiful, seasonal produce. Beans and natural starches in the vegetables themselves thicken up soups. Even a few tablespoons of lentils or beans will thicken up a vegetable or meat soup nicely. When prepping for soup, have all the veggies and herbs chopped and ready to go before you begin. For vegetarian soups, puréed tomatoes add flavor and color, and mushrooms add a good ‘meaty’ flavor without meat. And if you aren’t up for the challenge of making your own soup, each week Heirloom Kitchen offers a variety of freshly made, seasonal soups with ingredients sourced from Central Farm Markets growers.